Better late than never … The interview. Left is a photo taken at the launch in Rosebud. 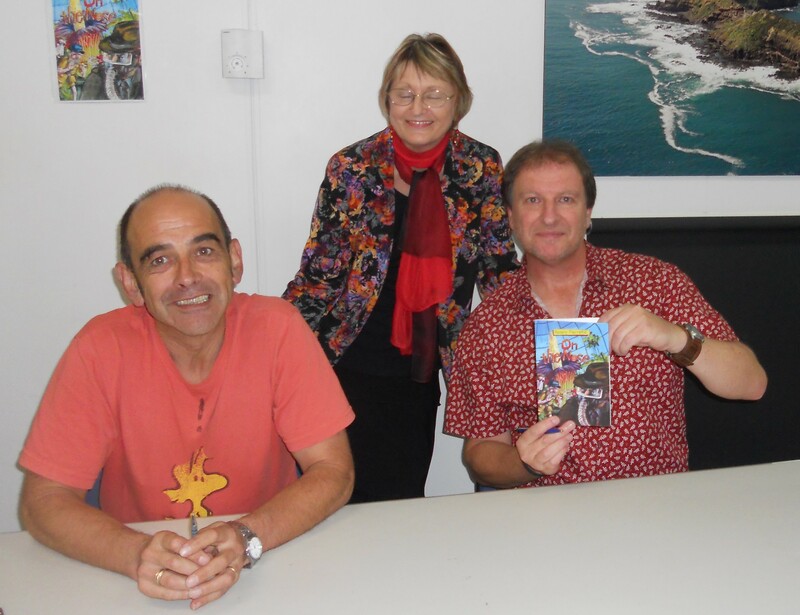 Robert, the illustrator of the inside pictures and the clever cover, Kevin Burgemeestre, and me. Robert Favretto was born in Melbourne to Italian migrants from Trieste. He is a primary school teacher, and enjoys writing children’s fiction in his spare time. His latest book is On the Nose. In 1998 he completed a Diploma of Children’s Writing, and the following year won first prize in the ‘Victorian School News Tickler of a Teacher Tale’ competition. His other publishing credits include CAT-astrophe, Leonardo’s Spot of Trouble and Lost for Words. He has also had his short story The Cuckoo Clock published in the CHARMS anthology. Robert is a keen sportsman and past marathon runner. He has completed numerous fun runs and participated in the Rialto Tower Run-up a few times – until he realised it was much easier to catch the elevator. Robert lives on the Mornington Peninsula with his wife and children. He enjoys reading, gardening, and going on family holidays. He answered these very personal questions for me. I have many favourites, from Enid Blyton to Paul Jennings and Andy Griffiths. 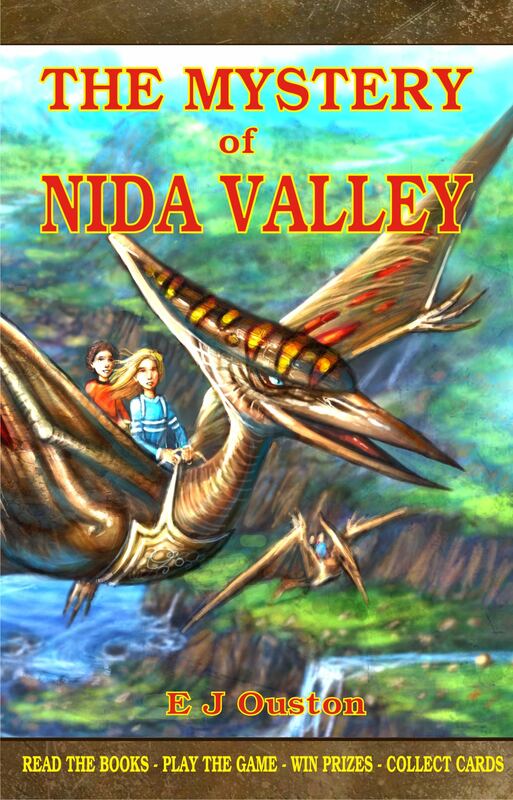 I enjoy their books because of their fantasy worlds, imaginative characters, and humorous storylines. I also like books from other authors that are interesting and can get to you emotionally – especially something with which you can connect. After winning a short story competition, I completed a Diploma of Professional Children’s Writing and began submitting my work to various publishers. I had my first book ‘Lost for Words’ published in 2006, which officially kicked off my writing journey. I think the greatest joy any writer can experience is to have their work appreciated. It’s a wonderful moment when someone takes a ride through the pages of your book and tells you how much they enjoyed it. I have a notepad with plenty of story ideas I’ve accumulated over the years. That’s probably the easiest part for me. I’m hoping to put more pen to paper in the near future, especially when I retire from full time teaching. Being a full time primary school teacher, I don’t have as much time to write as I would like. Therefore, I try to squeeze in a bit of writing during the holidays. It’s usually early in the morning, when things are quiet and I’m feeling energized. I aim to complete 2-3 hours of writing per day. I don’t set a word limit, as I feel this can vary depending on my creativity and what part of the story I’m working on. My favourite place to write is in my study. It’s quiet, there are no distractions, and it’s the perfect place to get my creative juices flowing. Some ferns and a palm tree outside my window add to a favourable atmosphere. My study is also conveniently near the kitchen for when I’m feeling a bit peckish. Justin Credible is a real live Pinocchio with a keen sense of smell. Trained as a super sleuth for the DNA (Department of Nasal Affairs), he is often called upon at the first sniff of trouble. With a nose for those hard to crack smelly cases, it’s no surprise when Justin responds to an urgent call for help. Someone or something has dropped a stink bomb in the city of Aroma – and the stench is devastating! Gardens are wilting, birds are dropping out of the sky, and the residents are leaving in droves! 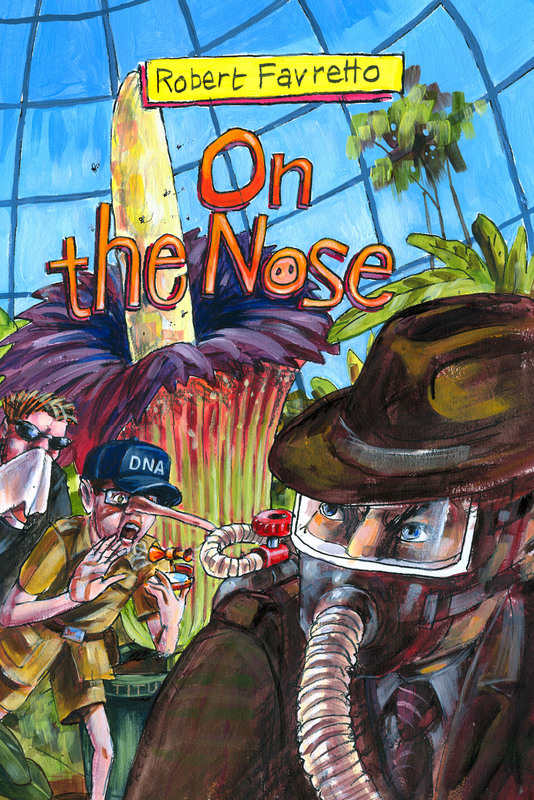 ABOUT THE BOOK: On the Nose is a fun and entertaining read that I’m sure would be enjoyed by young boys. This story is along the same lines as the Just books and Captain Underpants series: crazy, funny, and really silly – everything a young boy loves in a book.